Aches and pains are a common ailment for many consumers, but a new study suggests that some types of pain may actually be putting us in an early grave. Researchers from the University of Sydney have found that people with back pain have an increased risk of dying from all causes. This is especially worrying since nearly 700 million people suffer from the condition worldwide and many think it’s relatively harmless. "Our study found that compared to those without spinal pain (back and neck), a person with spinal pain has a 13 per cent higher chance of dying every year. 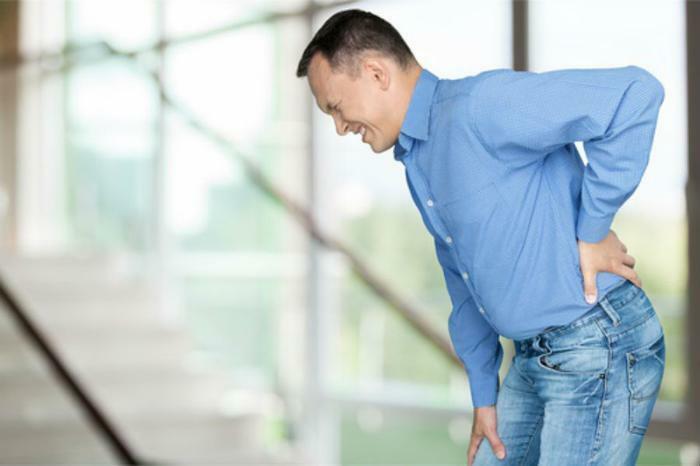 This is a significant finding as many people think that back pain is not life-threatening," said senior author Paulo Ferreira. The study analyzed nearly 4,400 Danish twins over the age of 70 to see if spinal pain had any marked effect on all-cause and disease-specific cardiovascular mortality. The researchers found that participants who suffered from back pain were 13% more likely to die on an annual basis. Current methods of treating back pain mostly include various medications, anti-inflammatory drugs, and surgery options for more severe cases. However, the researchers state that these measures aren’t doing enough. They say that the best things consumers with back pain can do is become more active and practice living a healthier lifestyle. "Medications are mostly ineffective, surgery usually does not offer a good outcome -- the best treatment for low back is a healthy lifestyle, including physical activity. People need to get moving," Ferreira concluded. The full study has been published in the European Journal of Pain.